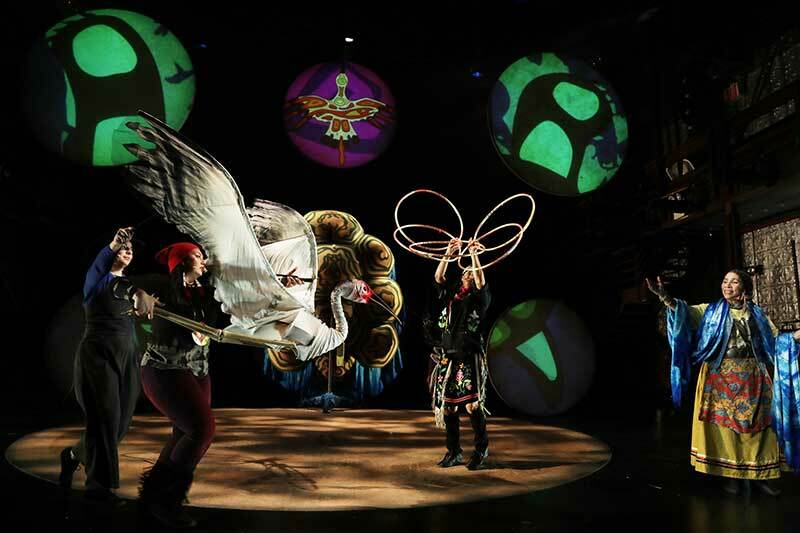 A smash hit at the New Victory Theatre on Times Square! 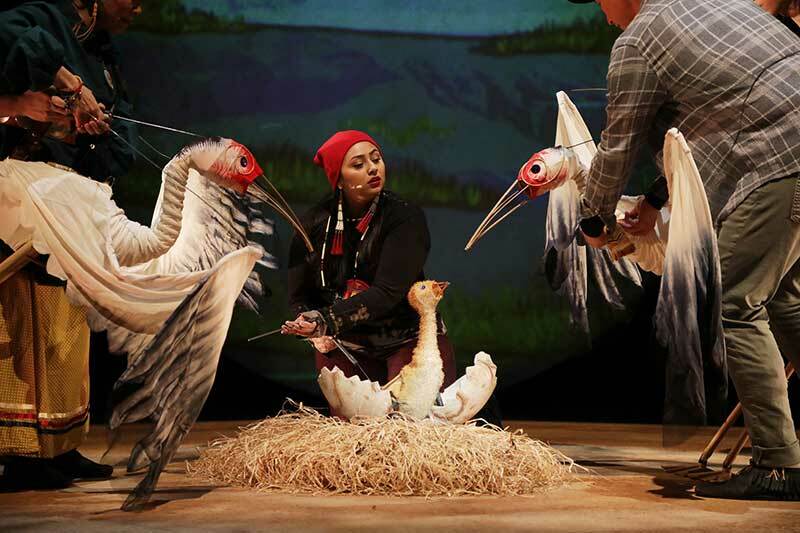 In this coming-of-age story, newborn crane Ajijaak grows to maturity before our eyes as she makes her first migration all alone, learning lessons and gathering medicines along her flightpath from her mentors and friends: Buffalo, Deer, Coyote, a turtle activist and his rapper sideman, Queen of the Crabs, Brings Humble, Walks In Two Worlds, She Has Corn… On her heroic journey, worldviews of the Ojibwe, Lakota, and Cherokee Nations are highlighted along with cultural practices of Indigenous Peoples on Turtle Island (North America). 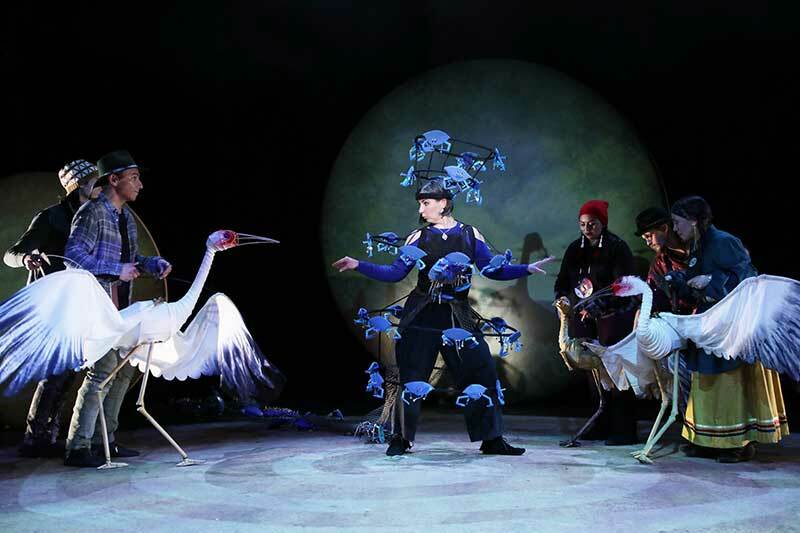 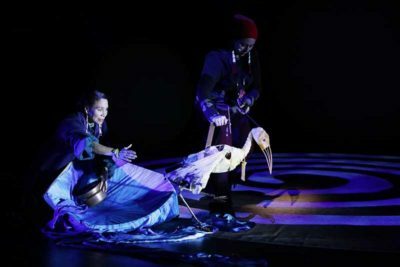 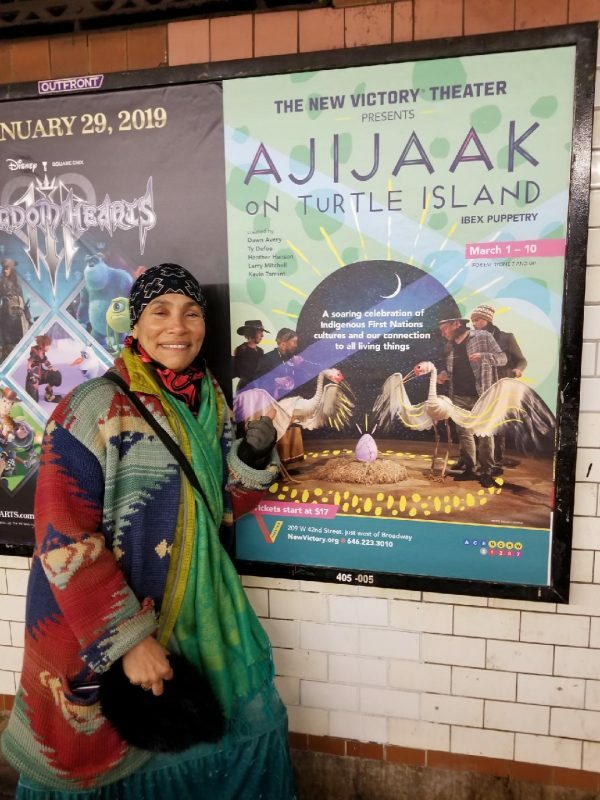 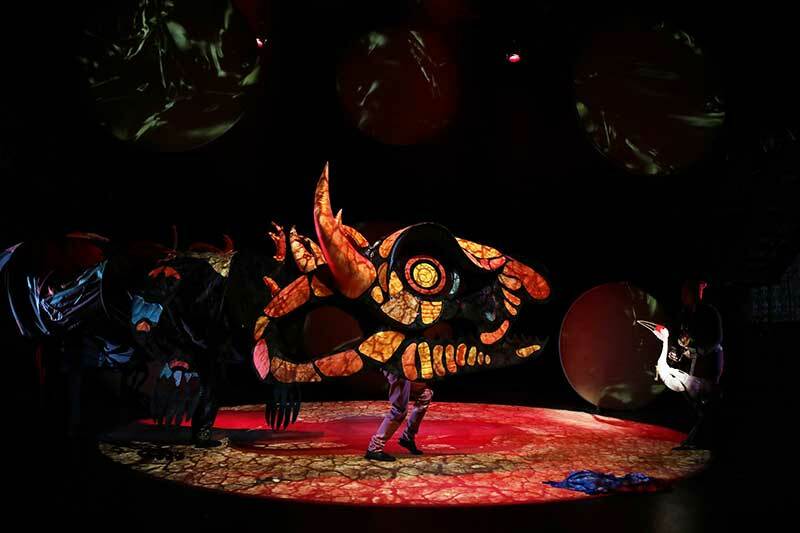 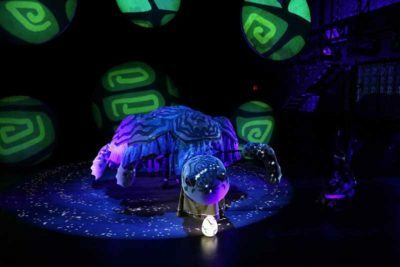 This immersive story is told by the magical Grandma Aki and her grandchildren through dances and puppetry, projections and kites, aerial antics, life-sized maps and songs. 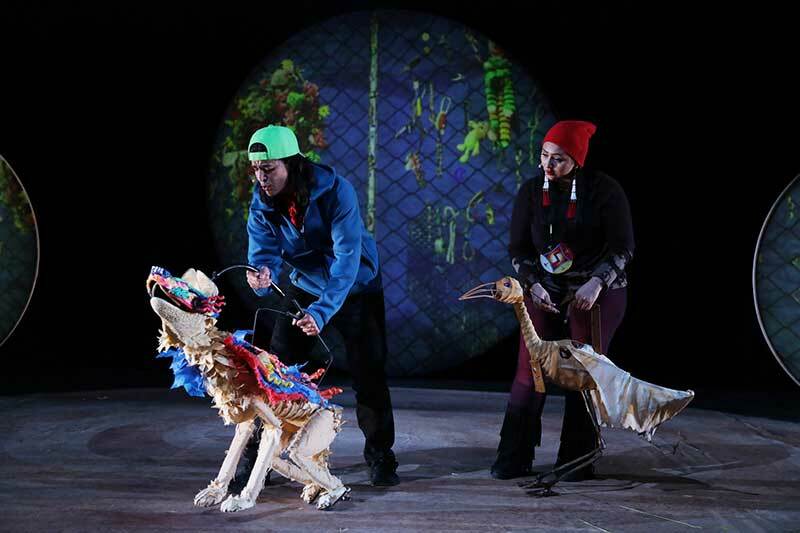 Tracing the tragedies befalling cranes, of disappearing forests and lakes, this story celebrates the richness of indigenous cultures that honor and protect these majestic birds as it reflects our connectedness with all of creation. 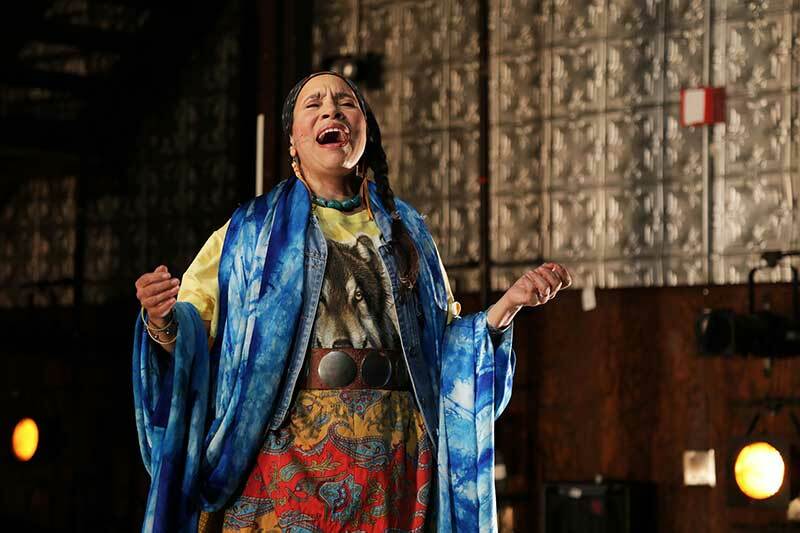 Come sing along! 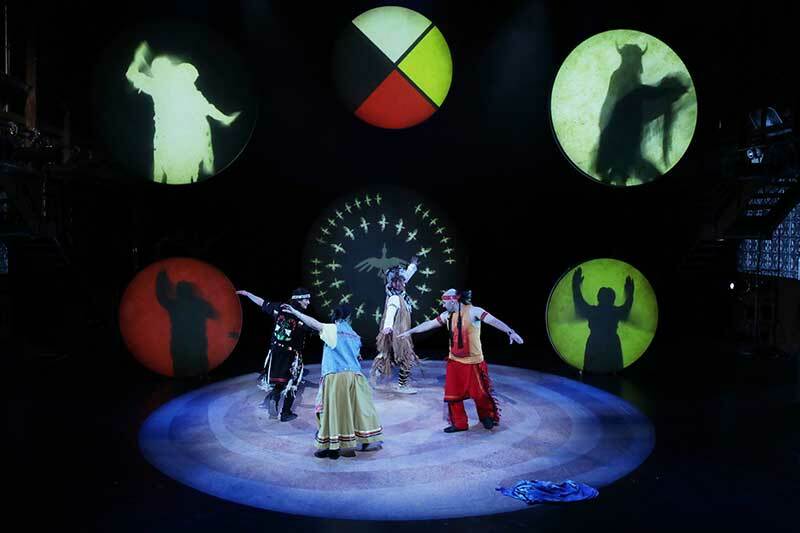 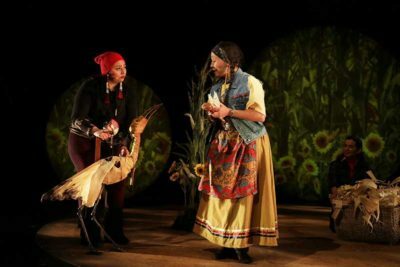 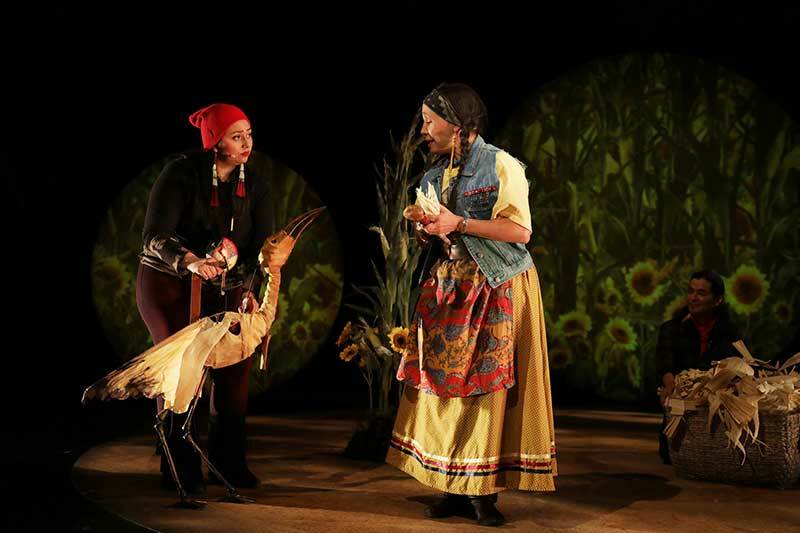 Directed by Heather Henson & Ty Defoe and scripted by Defoe (Ojibwe/Oneida), the play is produced by Ibex Puppetry, a company founded in 2000 by Heather Henson, daughter of the iconic Muppets creator Jim Henson. Grammy Award winner and champion hoop dancer Defoe joined Grammy- & NAMA-nominated Mohawk composer Dawn Avery, Grammy winner Larry Mitchell and notable Hopi & Ho-Chunk Nation of Wisconsin musician Kevin Tarrant (SilverCloud Singers) to create the infectious score, which also includes other traditional Native songs given with permission.